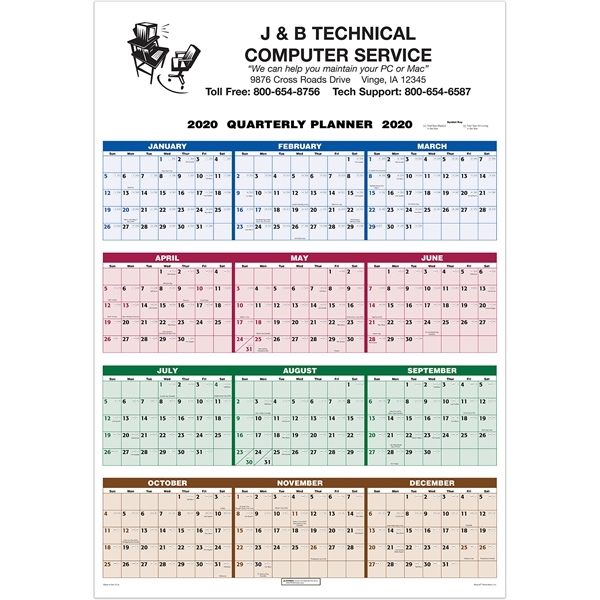 Imprint Option: 1 Color Imprint - A perfect promotional giveaway for office staff or valued clients, this 22" x 29" commercial calendar has a full year to view format and is tinned at the top and bottom. The calendar is printed in the USA. Fully customizable, it includes a 21" x 4 3/4" imprint area to feature your company logo, name and contact information. Made from 80 lb. matte paper stock, this commercial calendar also includes a loop for hanging.